Zen In War, originally written in English was first published in 2011. 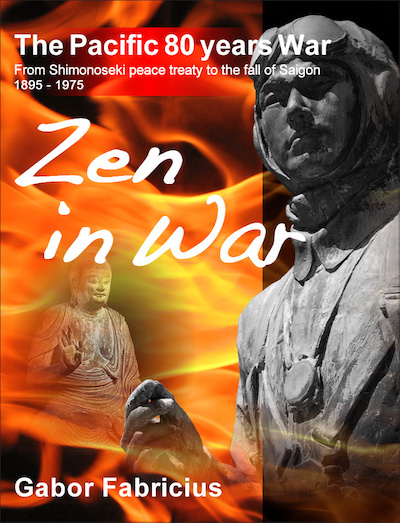 We plan to translate and publish the book Zen In War, the history of the pacific conflict 1895-1975, in Chinese, Korean, Russian, Vietnamese and Spanish and other languages spoken on Pacific shores. Each professional translation will cost 2.5 - 3 million Yen. If you like the book and agree that it should be published in those languages please contribute any amount you can spare. 20% of all contribution will be donated to Yasukuni Shrine. Even the smallest contribution shall be welcome since the book will be free of charge in all languages.